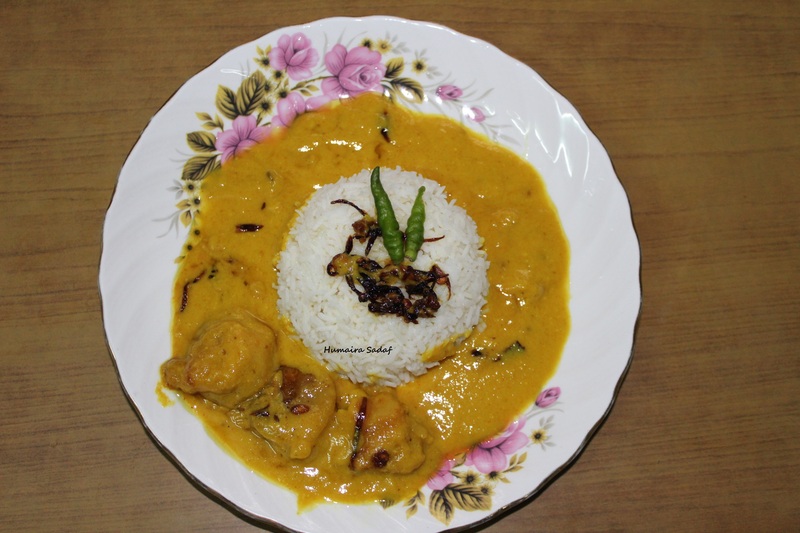 kadhi chawal is a favourite authentic cuisine of indians. This Indian yogurt curry with rice is prepared by putting fried fritters in yogurt based curry. The variations of this food can be found in states such as Delhi, Haryana, Uttar Pradesh, Bihar, Punjab, Rajasthan and Gujarat. 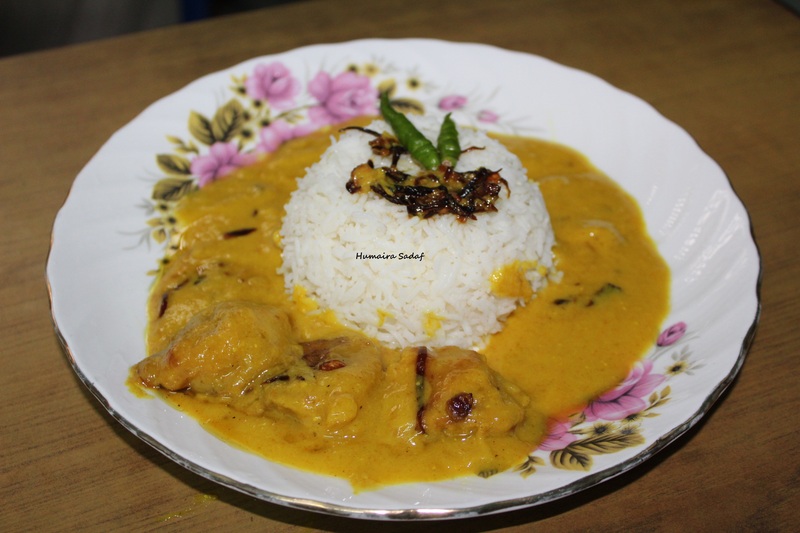 Kadhi is a tantalizingly sour dahi kadhi having besan pakora submerged in it. 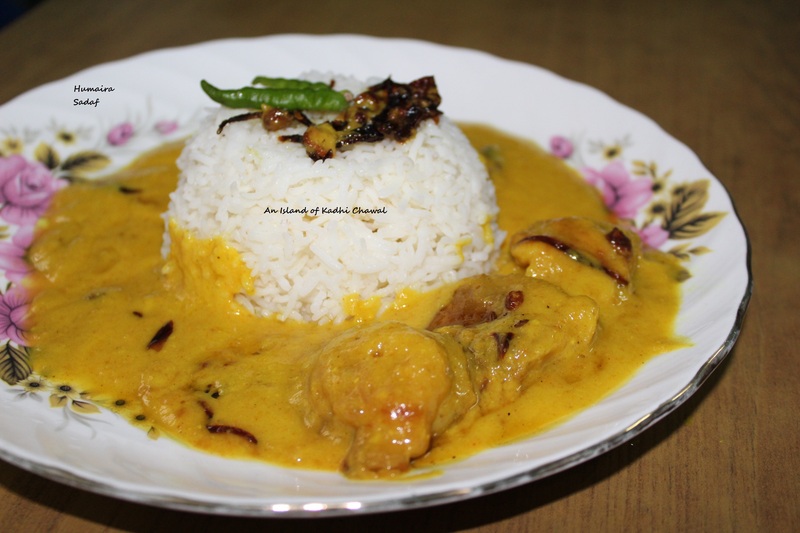 Let’s have a glance of an island of Kadhi Chawal. 1 cup rice, 3-4 cups of water, 1 tsp salt. Take a mixing bowl. Add gram flour along with chili powder, salt, baking soda, onions, green chili paste and coriander leaves. Add water little by little so that it can form a thick batter of dropping consistency. Heat oil in a kadai for deep frying, drop spoonful of the batter into it in small ball shapes. Keep turning them one by one. Fry them until golden brown in color. Fry the pakoras in small batches. Drain them on a kitchen paper to remove out the excess oil. Take a big mixing bowl, stir sour curd with gram flour and water. Make a smooth mixture without any lumps. Add red chili powder, turmeric powder and salt. Heat oil in a kadai, add cumin seeds, fenugreek seeds and asafetida. When cumin seeds start to crackle add green chili, ginger and garlic paste. Stir well and add the sour curd mixer with one hand while stirring constantly with the other hand. Do not stop stirring otherwise lumps will form. Now lower down the heat stirring constantly till it starts boiling. Let it simmer for 10 -15 minute on low heat or till the kadhi gets thickened. Now add the fried pakodas to the kadhi and before serving garnish it with the coriander leaves or light brown onions or green chilies. Wash the rice properly and keep aside. Take a pan, add water to it. Let it boil. When water starts to boil, add rice and salt. Cook for 15 minute and then reduce the heat let it cook till the rice in completely soft. Switch off the heat and drain the starch water by pouring the rice and water over colander. Put rice in a bowl and keep it cover till serving time. 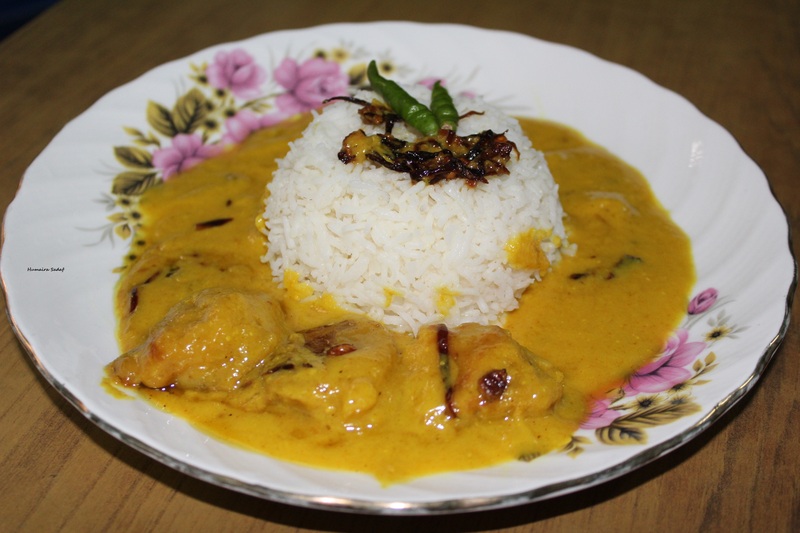 Serve sizzling rice with kadhi. Why gratitude is the best? Awesome recipe girl… Love kadhi and this bowl looks droolworthy. Delicious platter. Looks really tempting. Loved the presentation. Kadhi chawal is my favourite dish. Kadhi Chawal is one dish that ranks high up on my list of comfort foods. I have tried so many versions but nothing comes close to the way my mother makes it.